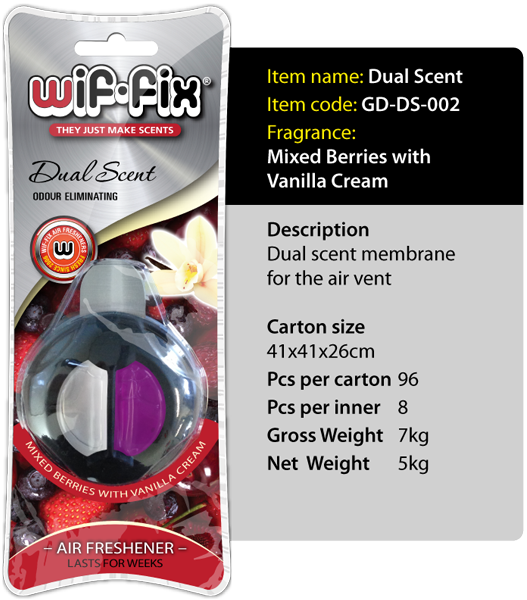 The Wif-fix Dual Scent Range is our take on the very popular Air Vent Air Freshener. 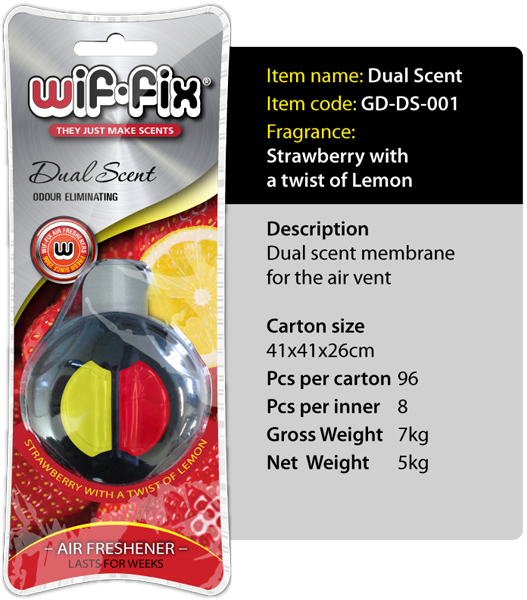 This incorporates 2 scents to choose from in one ergonomic design. 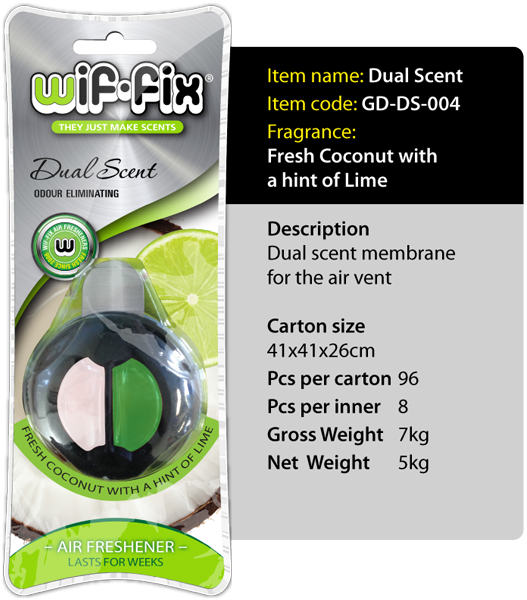 You can have 1 flavour at a time, or diffuse both together by using the dial. For those of us who cannot make up our mind.